The workshop In-between: Reflecting on Building an Artist-run Platform with the Salwa Foundation is part of Broadcasting from Babylon: Citizenship and Cultural Production. This is a public program series that focuses on intersectional feminist, queer, and anti-colonial embodied, listening and sounding practices, which are broadcasting from Babylon, Fort EU. The gatherings take place from 21 January until 15 March at mostly independent initiatives and spaces throughout the city of Amsterdam. Broadcasting From Babylon is developed by Amal Alhaag & Maria Guggenbichler as a DAS Theatre ‘Block Programme’. It’s free and open to all to participate. 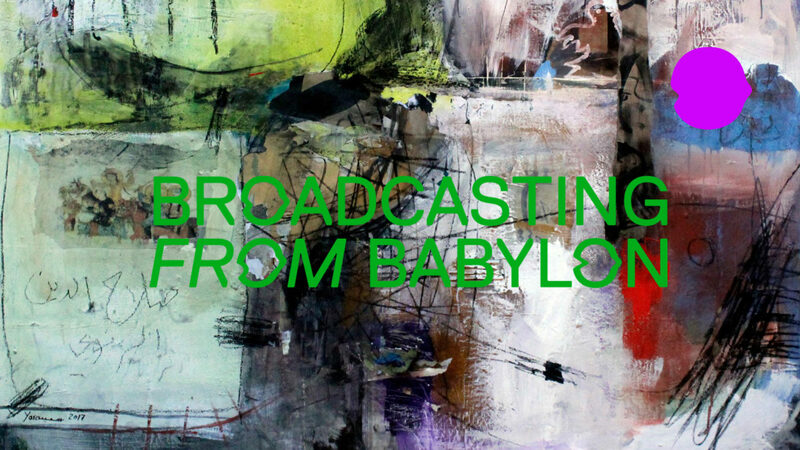 Broadcasting from Babylon will investigate how citizenship informs cultural production, and how different forms of social engagement and place-making are currently developed by reclaiming and rewriting democracy through cultural self-representation and production. What can cultural practitioners learn from social movements, hackers, squatters and open-source activists? Each week, Josien Pieterse and Anne de Zeeuw (Framer Framed/Netwerk Democratie) invite different guests to explore a specific topic.